Bottomless Mimosas. Cute Outfits. Great Company. There is nothing better than Sunday brunch! I love brunch, especially at George’s in South Miami. As soon as you walk in, you’re greeted with tables full of people laughing and enjoying fantastic food. It’s a great place to dress out for a nice ladies outing (I guess you could bring the guys too!). The vibe is fantastic and anytime you get there it is always packed – so try to make a reservation in advance. At George’s you are guaranteed great food and a great time. The waitress greeted us at the table with a bottle of champagne. Did I mention the bottomless mimosas were included in the food price? No. Well it is! She then brought us a pitcher of orange juice, a basket of bread, and fantastic homemade jelly. 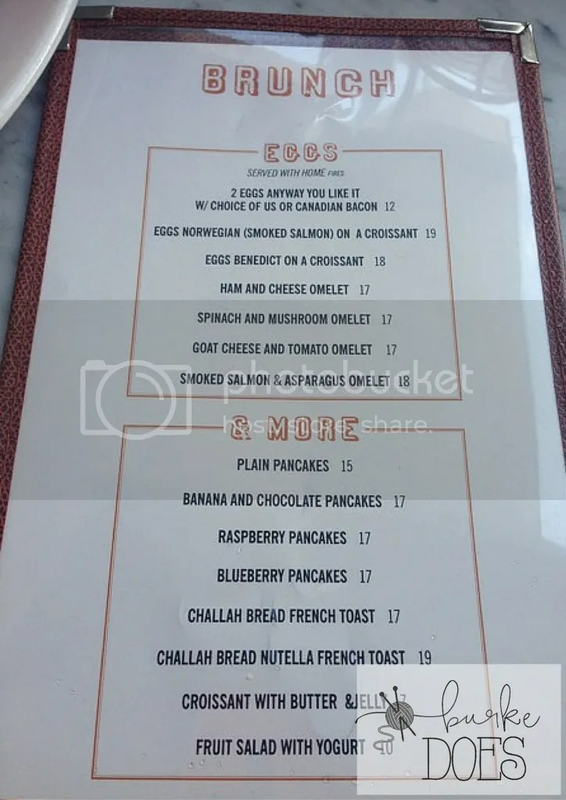 The food is very reasonably priced, for Miami brunch that is. 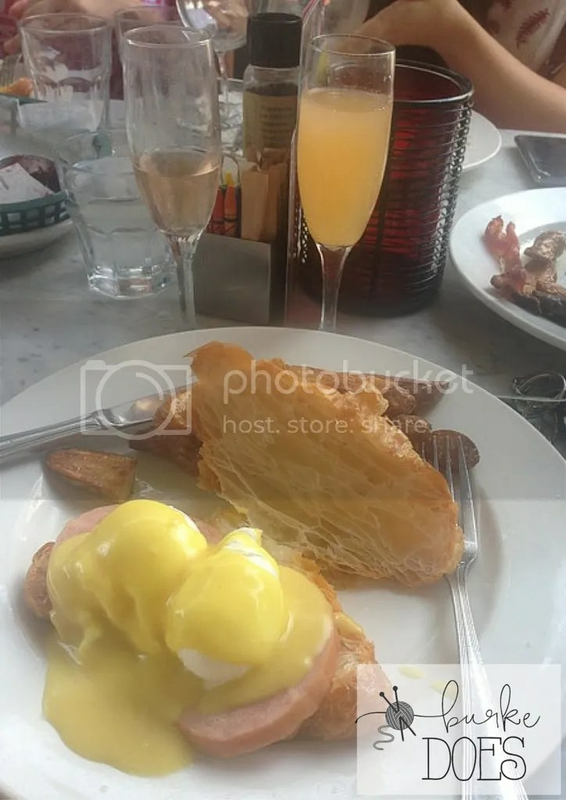 I got the eggs benedict, my go to for brunch. They serve it on a fluffy croissant instead of an English muffin and it was delicious. My mouth is watering just thinking about it. Everything from the hollandaise sauce to the potatoes was perfectly cooked. The sauce was creamy, and the eggs were perfectly pouched. The potatoes were amazing. They almost melted in your mouth. We also got the banana chocolate pancakes. They were perfect. Fluffy and delectable. All of the flavors work perfectly, especially when you get it with a side of bacon. It’s also a great place to celebrate any occasion, especially if you have a friend who gets super embarrassed for all the attention. The owner, George, leads a group to your table, as the blast music, and brings you a cup full of whipped cream with a sparkler in it. It is a lot of fun and you are always guaranteed to enjoy your experience.